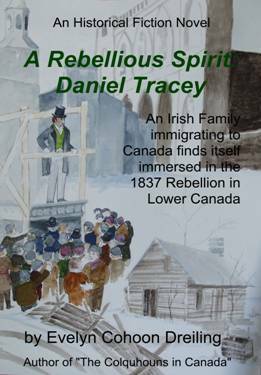 Daniel Tracey, an Irish farmer from Tipperary, seeks escape from hardships in Ireland in 1815, hoping to establish a homestead in Canada for his little family. Instead his family is almost torn apart as he finds himself immersed in the struggle for true political freedom and democracy in Lower Canada and becomes a Patriot fighter in the 1837 Rebellion. From rebel fighter to thoughtful teacher - the continuing story of the Irish family, the Traceys. 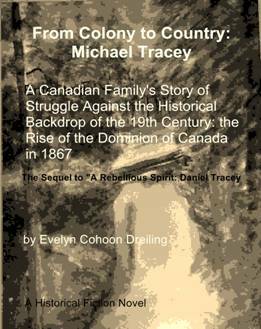 This sequel to my first book, "A Rebellious Spirit: Daniel Tracey", is entitled, "From Colony to Country: Michael Tracey" and covers the period roughly 1840 to 1880. Michael Tracey followed a different path from his father. He was less of a fighter and more of a philosopher prone to depression.